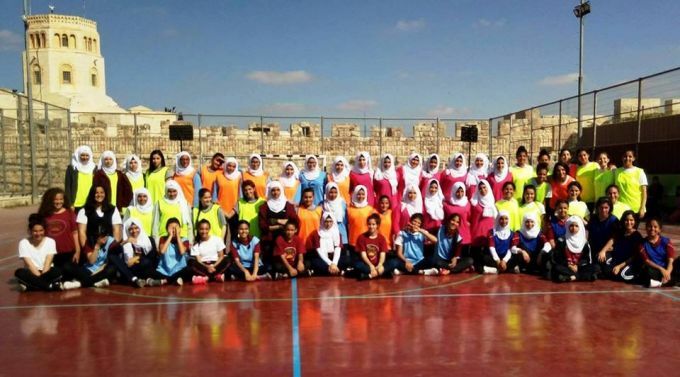 The Ministry of Education Sport Department and Burj Al-Luqluq Social Center Society Organized a handball tournament for the Jerusalemite schools, at Burj Al-Luqluq basketball field with the participation of 6 Jerusalemite schools. This tournament was organized within the Sport Empowerment Project, funded by the Arab Development Fund, supervised by the Welfare Association and executed by Burj Al-Luqluq. The Physical Education trainer at Schmidt School, Murad Bannura, expressed that the competition was really tough to win the cup. He added that Burj Al-Luqluq and the physical education department at the Ministry of Education have provided the schools with all the needs. It is worth mentioning that 6 Jerusalemite schools participated in the tournament including Al-Nizamiya who came first and Schmidt who came second.